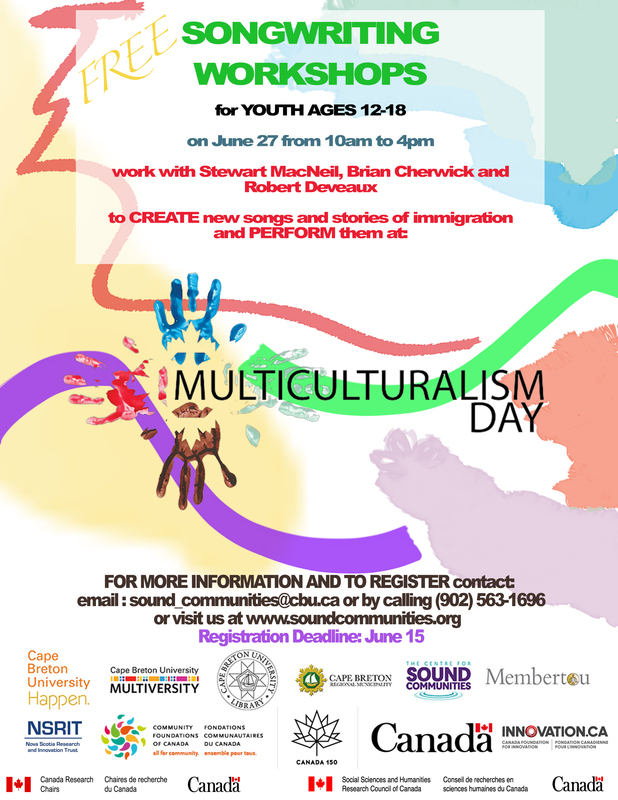 Songwriting Workshops: For Youth ages 12 to 18, there are three in-community workshops where youth will be working with singers and artist facilitators to co-create a music piece about immigration and encounter. There will also be mentors (Stewart MacNeil, Bryan Cherwick, and Robert Deveaux) at each of the locations giving information and telling stories of their experience or families experience with immigration to Canada and Cape Breton. For more information please call (902)563-1696. The deadline for registration is June 15th.